I wore this outfit to movie night. We watched Dark Shadows, starring Johnny Depp as a man who was cursed to become a vampire by a witch who was obsessed with him. He was sooo good! Or I'm just totally biased, because I loved him ever since, and loved him more as Captain Jack Sparrow. (Savvy?) Even when he wears more make-up that I do, has dreadlocks that could house rodents and teeth that would shock a dentist, I still loved him. I wouldn't want to kiss him, but I love him. nice outfit. your top and skirt are so cute! 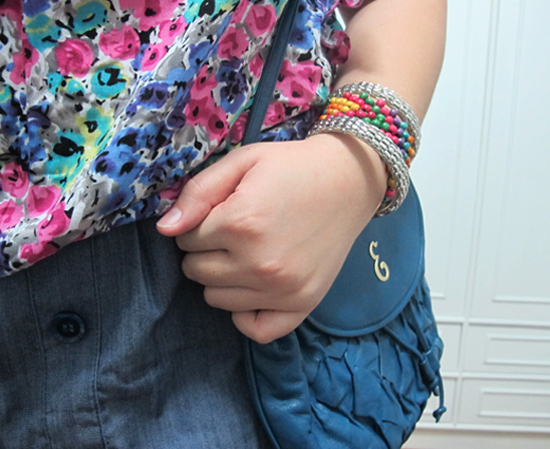 The bracelet and shoulder bag are also very unique. Thanks! The bag has been under my mom's care for over thirty years! you're so ready for summer! floral suits you well! I am! It's about to end and I still want to hold onto it! pps: can we follow each other to be updated with new posts? 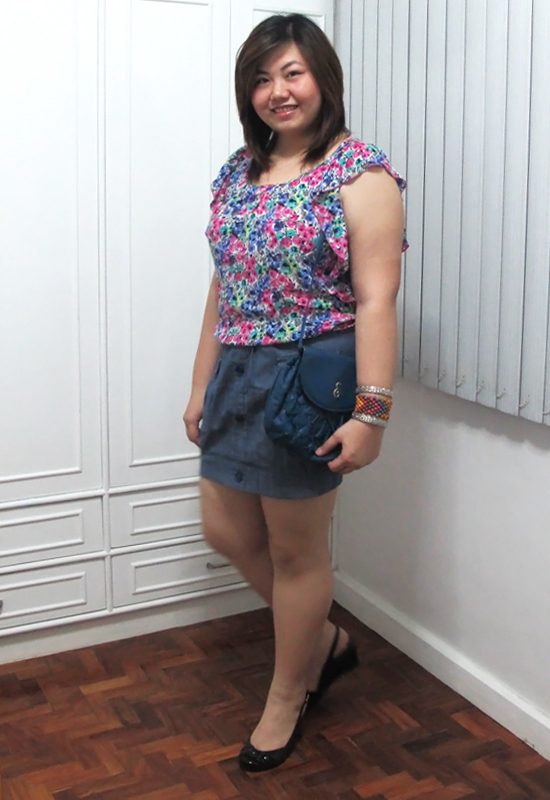 I love that floral print top and the bag is so cute! Oh this top looks so cute on you! Ah! I do not go to the moves... crazy i know! Really? Why not? Thanks for dropping by, Sara! This is such a pretty outfit!!! 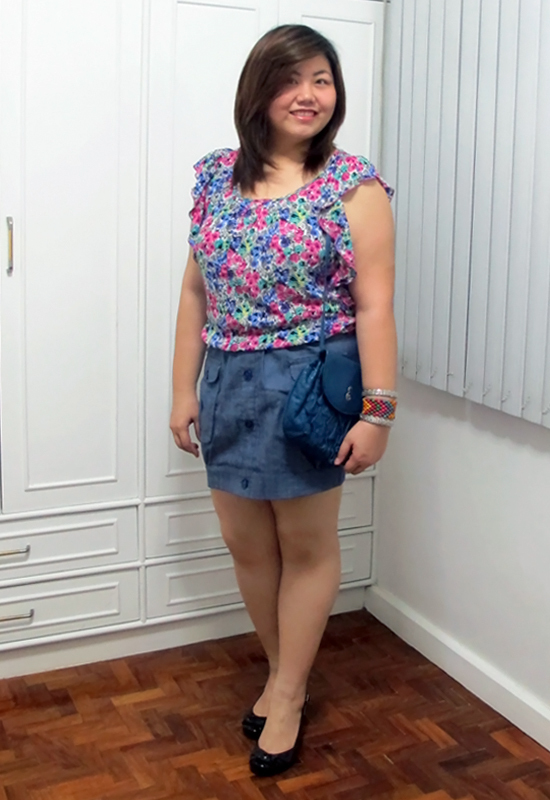 I love the denim skirt & it looks great with the floral top! AND I really want to see Dark Shadows! I just haven't found the time yet!! !